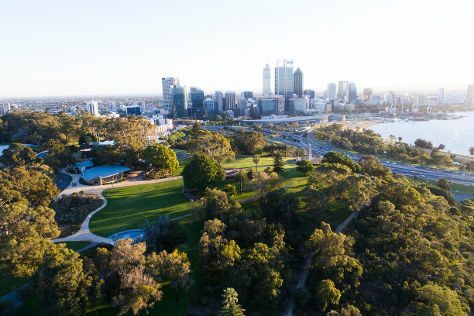 Start off your visit on the 9th (Thu): explore the activities along Swan River, steep yourself in history at The Perth Mint, and then take in nature's colorful creations at Kings Park & Botanic Garden. To see where to stay, other places to visit, reviews, and other tourist information, read our Perth itinerary planner . Mumbai, India to Perth is an approximately 15.5-hour flight. You can also do a combination of train and flight. You'll lose 2 hours traveling from Mumbai to Perth due to the time zone difference. In May, Perth is much colder than Mumbai - with highs of 25°C and lows of 11°C. Finish your sightseeing early on the 9th (Thu) so you can travel to Kangaroo Island. 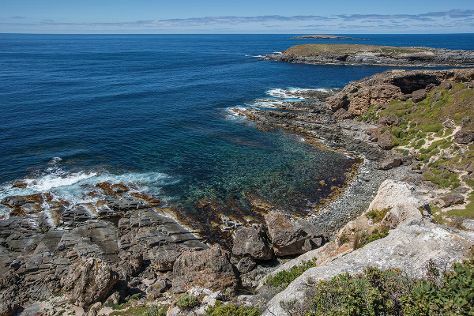 Kick off your visit on the 10th (Fri): explore the striking landscape of Flinders Chase National Park. For more things to do, reviews, where to stay, and more tourist information, read our Kangaroo Island visit planner. Traveling by flight from Perth to Kangaroo Island takes 7.5 hours. Alternatively, you can do a combination of train, bus, ferry, and taxi. The time zone difference when traveling from Perth to Kangaroo Island is 1 hour. 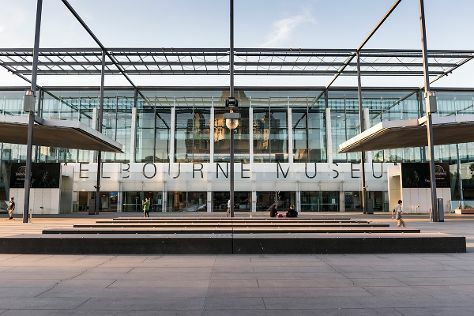 Finish up your sightseeing early on the 10th (Fri) so you can travel to Melbourne. Melbourne is known for museums, shopping, parks, nightlife, and zoos & aquariums. Your plan includes some of its best attractions: admire the natural beauty at Royal Botanic Gardens, don't miss a visit to Flinders Street Station, savor the flavors at Food & Drink, and brush up on your military savvy at Shrine of Remembrance. Plan my Melbourne trip by asking Inpirock to come up with tips and suggestions. You can fly from Kangaroo Island to Melbourne in 3.5 hours. Other options are to do a combination of car and ferry; or do a combination of bus, ferry, and car. In May, daily temperatures in Melbourne can reach 20°C, while at night they dip to 9°C. Finish your sightseeing early on the 13th (Mon) to allow enough time to drive to Cowes. Resting on the northern coast of Philip Island, Cowes is sandwiched between a coast and a forest. Start off your visit on the 14th (Tue): tour the pleasant surroundings at Swan Lake Trail, get to know the resident critters at The Nobbies Centre, then head off the coast to Koala Conservation Centre, then brush up on your military savvy at National Vietnam Veterans Museum, and finally take in the waterfront at Rhyll Jetty. To find more things to do, other places to visit, and tourist information, use the Cowes route builder site . You can drive from Melbourne to Cowes in 2 hours. Other options are to take a bus; or do a combination of train and taxi. In May, daily temperatures in Cowes can reach 20°C, while at night they dip to 10°C. Wrap up your sightseeing on the 14th (Tue) early enough to drive to Sydney. Sydney is known for nightlife, trails, beaches, parks, and museums. 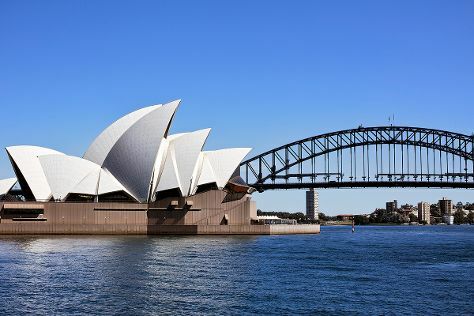 Your plan includes some of its best attractions: see a show at Sydney Opera House, get to know the fascinating history of The Rocks, admire the natural beauty at Royal Botanic Garden Sydney, and kick back and relax at Manly Beach. For photos, reviews, maps, and tourist information, read our Sydney online sightseeing planner . Getting from Cowes to Sydney by car takes about 11 hours. Other options: do a combination of taxi and train; or take a bus. In May, Sydney is a bit warmer than Cowes - with highs of 24°C and lows of 14°C. Wrap up your sightseeing on the 17th (Fri) to allow time to travel to Gold Coast. Start off your visit on the 18th (Sat): observe the fascinating underwater world at Sea World Theme Park. To see more things to do, photos, traveler tips, and more tourist information, go to the Gold Coast online tour itinerary planner . Fly from Sydney to Gold Coast in 3.5 hours. Alternatively, you can do a combination of flight and train; or drive. In May, daytime highs in Gold Coast are 27°C, while nighttime lows are 15°C. Finish up your sightseeing early on the 18th (Sat) so you can travel to Cairns. Kick off your visit on the 19th (Sun): see some colorful creatures with a scuba or snorkeling tour. To see photos, other places to visit, and more tourist information, you can read our Cairns tour planning tool . Getting from Gold Coast to Cairns by flight takes about 5.5 hours. Other options: do a combination of train and flight; or drive. 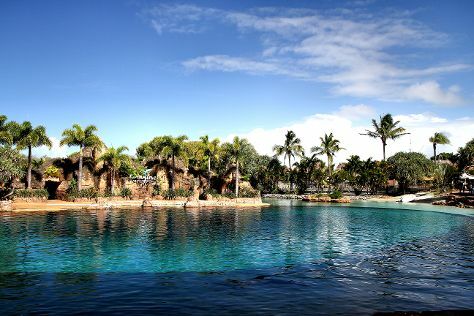 Traveling from Gold Coast in May, expect Cairns to be somewhat warmer, temps between 32°C and 24°C. Wrap up your sightseeing by early afternoon on the 20th (Mon) to allow time for travel back home.